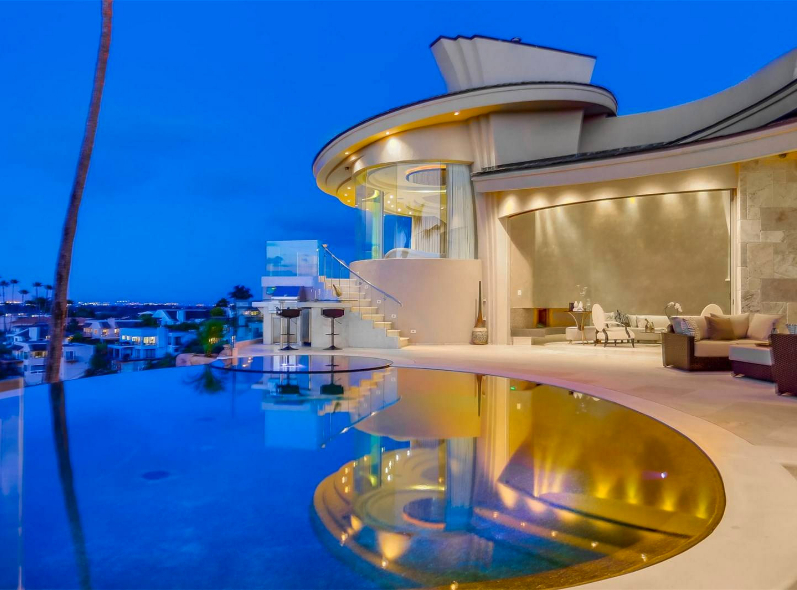 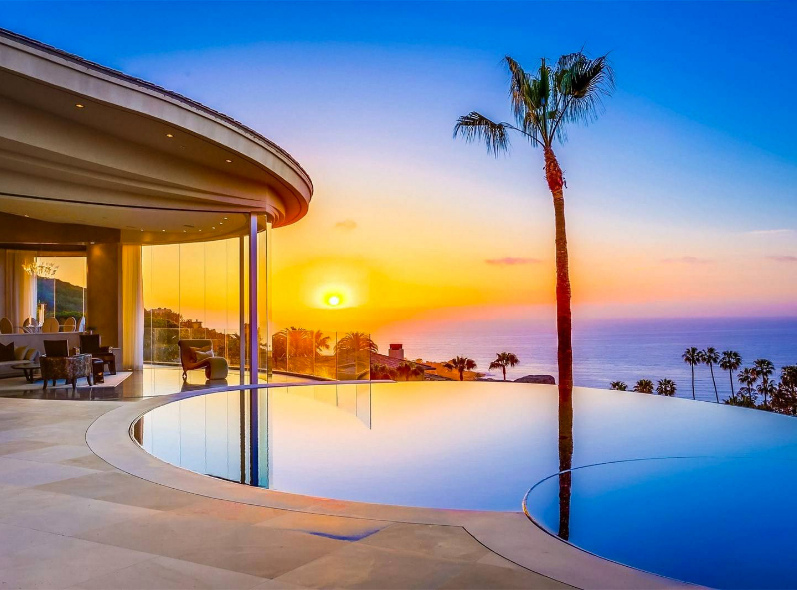 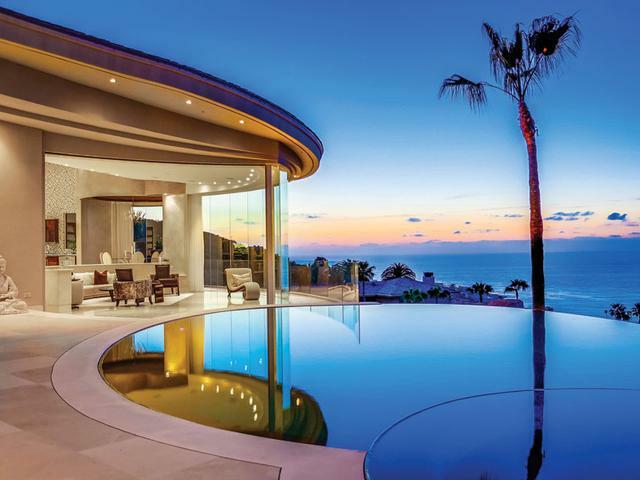 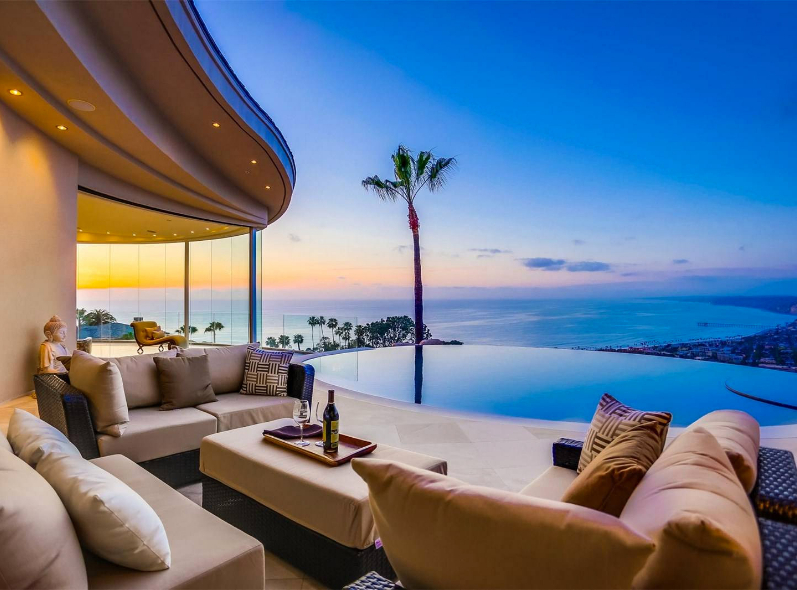 Situated in the Hollywood Hills of La Jolla, “Essencia”, captures the stunning grandeur of modern organic architecture. 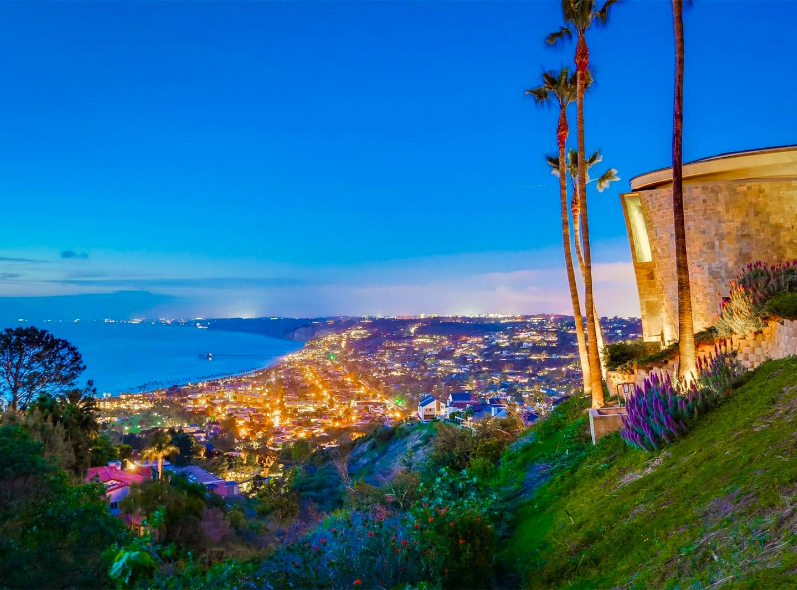 This 5 + bedroom property features 280-degree unobstructed views of the coastline and the village of La Jolla and includes custom luxury amenities throughout the 9,200 sq ft many crafted by designer Christopher Guy. 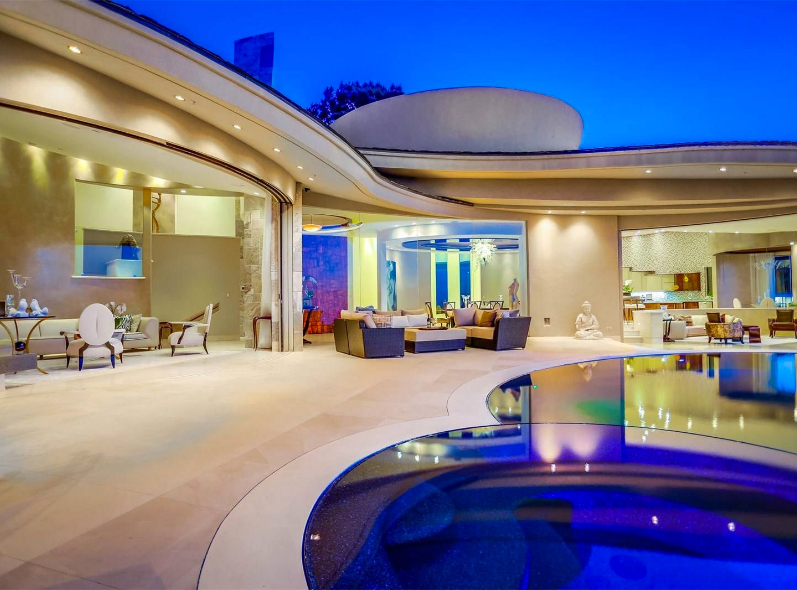 Fully gated property, wine cellar, theater, Crestron “smart home”, Retractable curvilinear glass walls open to vanishing edge saltwater pool and spa with Spectra lighting. 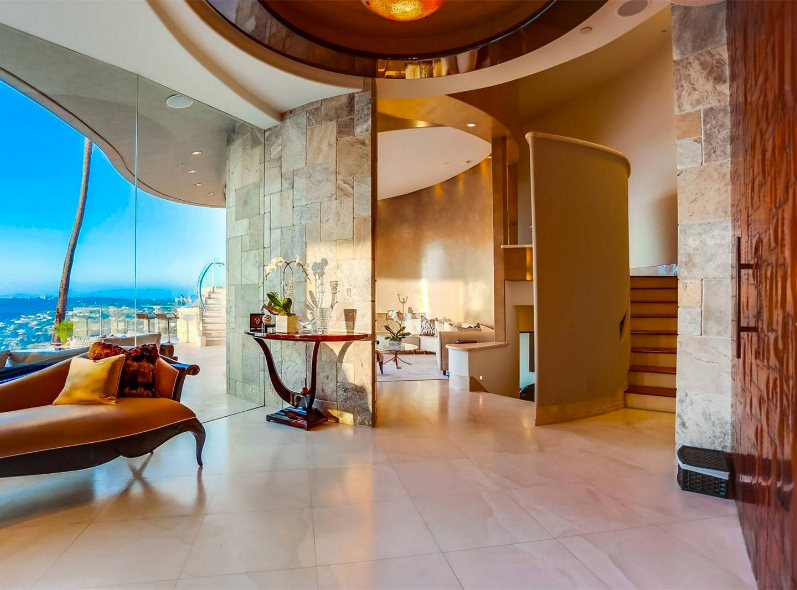 Visit www.essencialajolla.com to watch HD Video.